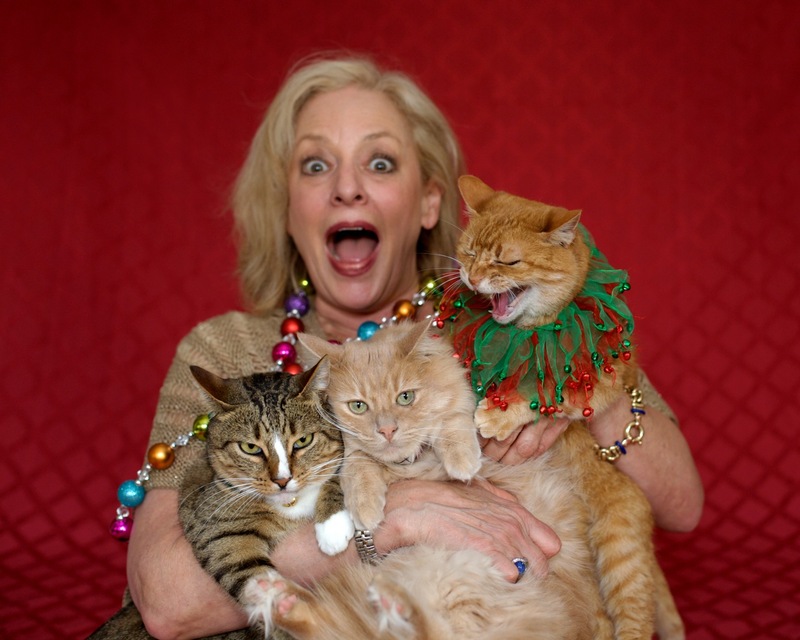 Cat Chat With Caren And Cody: "Walkin' in a Kitty Wonderland" with Purina, Winners!!! "Walkin' in a Kitty Wonderland" with Purina, Winners!!! Cameras click, are ya listenin'? You could win some Fancy Feast and Friskies that's right! "Walkin' in a kitty wonderland!" Happy Friday everyone! 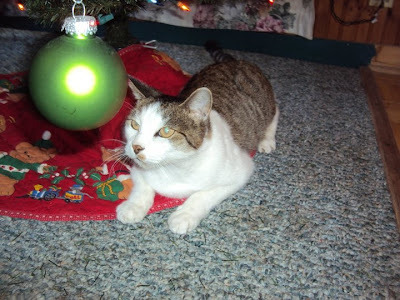 It's Cody, and I have been waiting and waiting to announce the winners of the Purina "Walkin' in a Kitty Wonderland" photo contest, but wasn't allowed to spill the kibble until I had the official word, but now I can! This was a super hard contest to judge. ALL of the photos Mom and I received were winners in our book. It was soo hard to judge that guess what? Mom and I didn't judge it! We're not as stupid as we look! Since we knew a few of the kitties who entered, we decided to show Dad the photos and let him pick the winners so that it would be fair so that the blame would fall on HIM! ALL OF THE WINNERS from the Purina Blogger Community's contest!! NOW FOR OUR FOUR RUNNERS UP!! Click here to visit Katie!! Next the oh so "shy"
for such a fun contest! Great photos. Conctulations to all the winners! Oh my you're not kidding that was tough! Concats to all the wonderful submissions and to the winner! great job!! 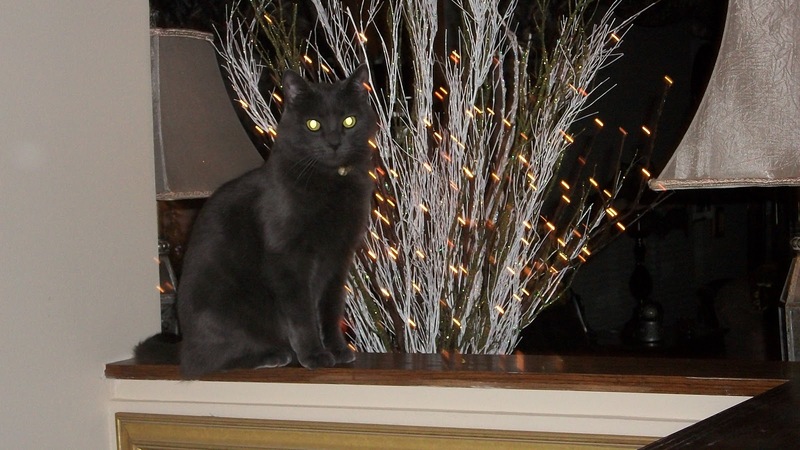 They are all great, but my personal fave is the Guido Gazette kitties and their human - tis the spirit of the season! 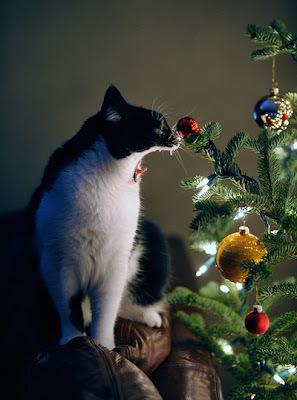 ALL the photos...and especially the KITTIES ... are wonderful. We're honored to be one of the finalists. Thank YOU for purrticipating!!!!!! And concatulations for being one of the finalists!!! Wow, such great entries! We loved ALL those photos! How did the dad ever choose a winner? He had a SUPER HARD time. I laid them all out for him, told him the rules and he picked. He doesn't know any of the kitties or their pawrents so it was fair. I sure didn't want to be the one to pick the winners! Yay!!! How exciting... can't believe it :) Tell you dad thank you Cody! As Kitty Meow Meow is no longer with us this year, I will be giving the cat food to my mother probably. She has several feral cats in her neighborhood that she feeds. Now they can have a Christmas feast! concatulations Ann! I will tell him for sure!! I am glad that some ferals will benefit from the prize! Really great photos! Congrats to the winners. Oh that photo of Bubba is amazing, love it! All of the entries are so great! You are so funny especially when you said that you weren't allowed to spill the kibble and that you chose your dad to do the voting so the blame could be on him! Too funny! Loved looking at the pictures of the funny/gorgeous cats! What a great contest! Congrats to Bubba and all the other winners! yep Bubba sure is a good model!!! CONCATULATIONS!!! You are most welcome! Enjoy the prizes! Congratulations to Bubba and all of the other winners. Catzowey! Weeza just sees now that weeza feline foto finalists and all our paws are air born! Abundacat thanks for the fun and Buon Natale to all! You are MOST WELCOME!!!!!!!! Sooooooooooo happy for you!! Thank you for entering!! Congratulations winners! Love all the pics!